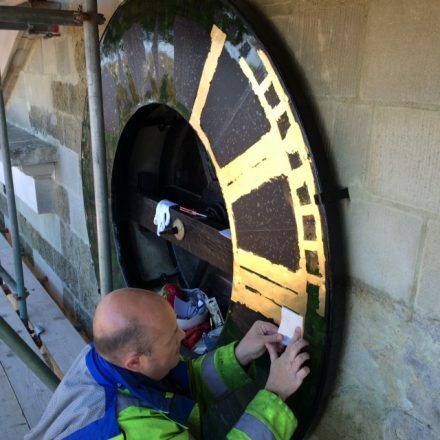 The single 2m diameter dial at St Peter & St Paul Church in Blandford Forum, Dorset, is a copper clad chapter ring. 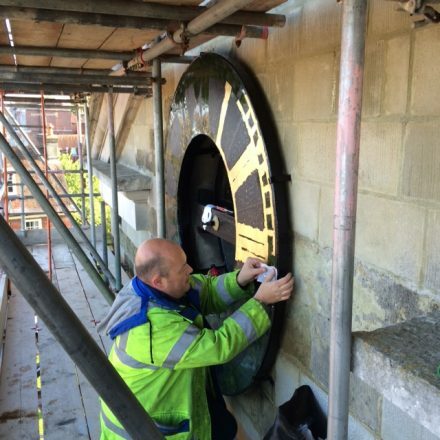 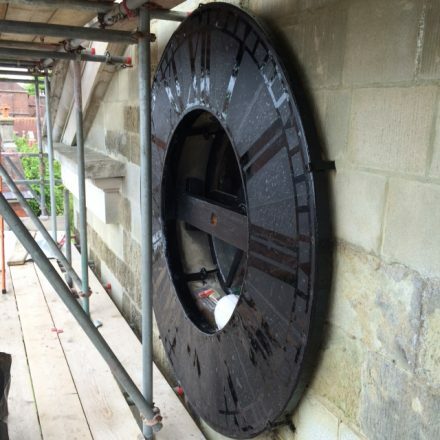 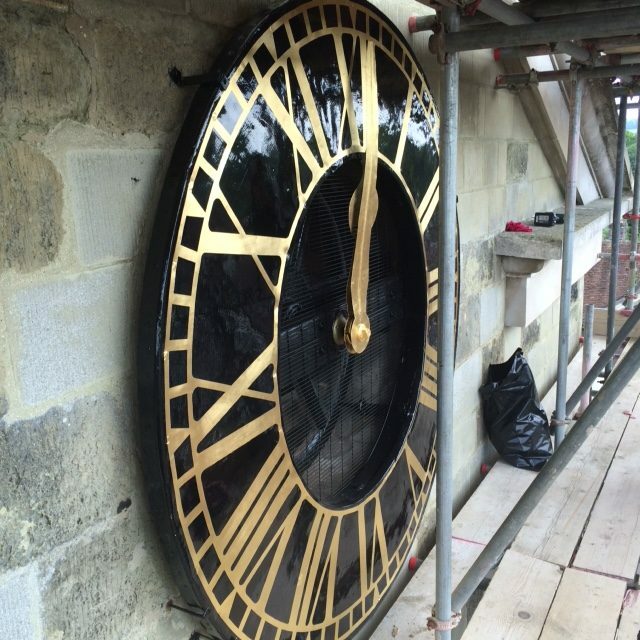 When scaffolding was in place for other building work it provided an opportunity to restore the dials. 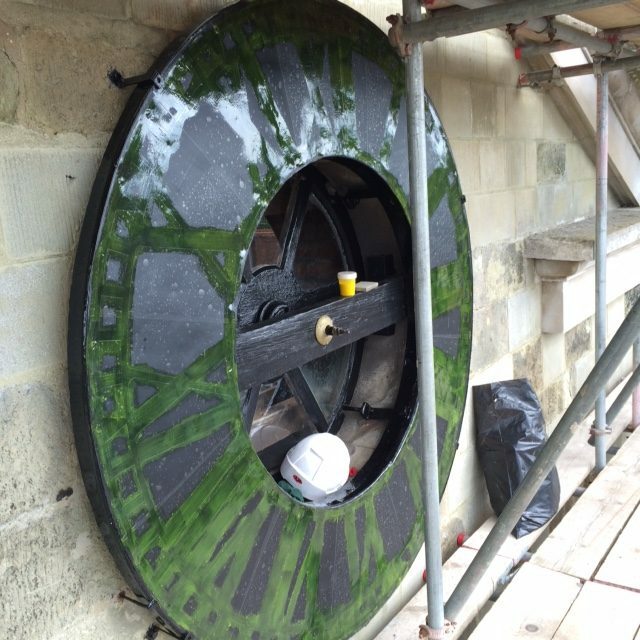 As the dials and fixings were in good order, restoration in-situ was the preferred method. 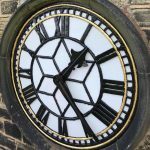 To achieve an exact replica of the original 1882 pattern, our clockmaker sent photos and measurements to Derby for our graphic designer to set out as a computer file. This was cut as a stencil mask to aid gilding and finishing. Combining computer design with the centuries old gilding process enables us to reproduce clock dials with their unique characteristics. 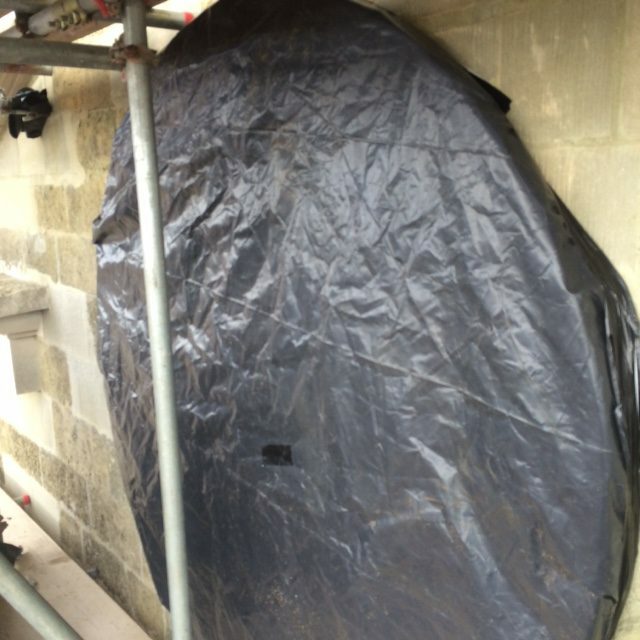 We also retain this historical information on file. 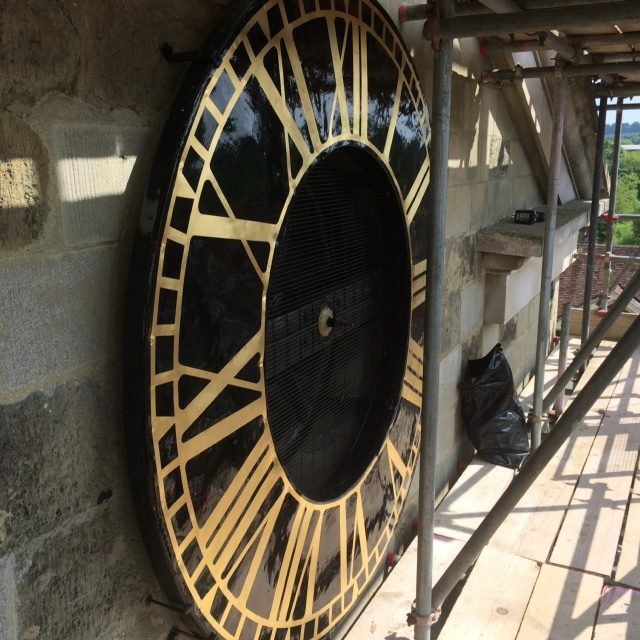 Dial restoration is a stage-by-stage process and our local clockmaker was able to make timed visits to prepare the surface and repaint. 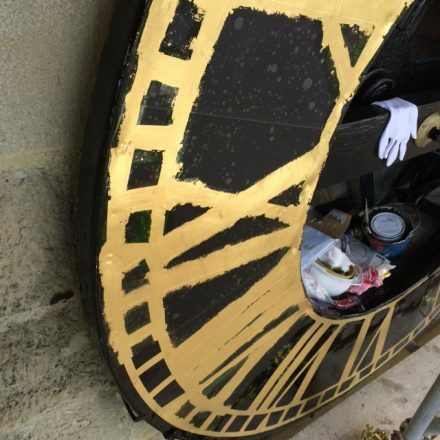 He returned to apply the prepared masks when the paint had fully cured, then applied the gold size. 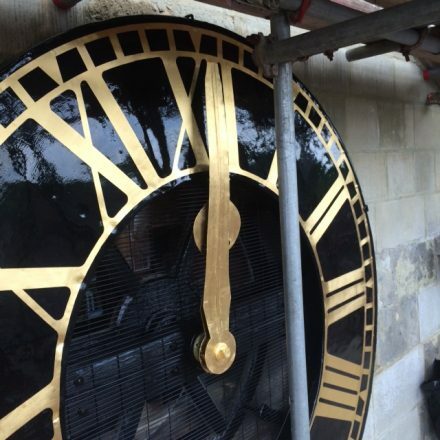 This itself has to cure before the application of the 23 1/2 carat gold leaf. 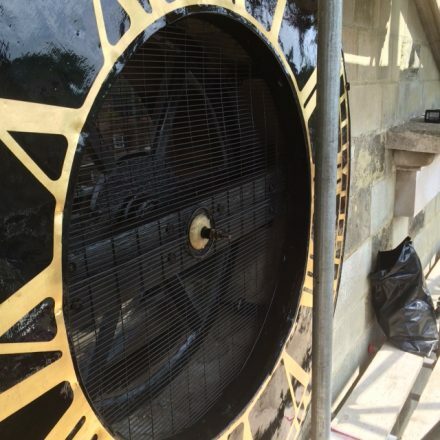 Once this was done, the mask was carefully lifted to reveal the crisp edges of the sparkling new finish. 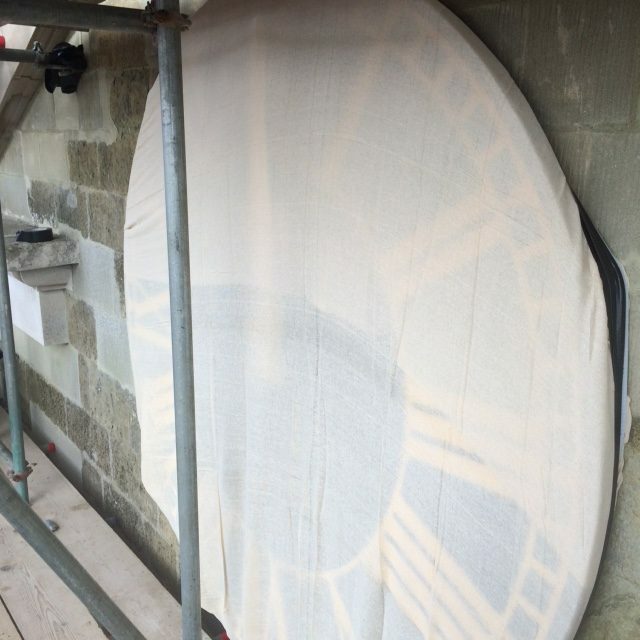 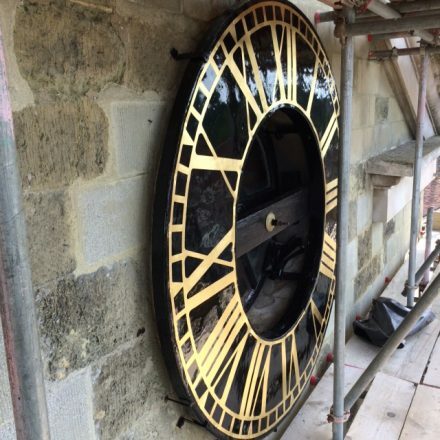 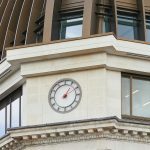 All that remained was for the dial to be covered up again – for protection until the rest of the building repairs were completed.